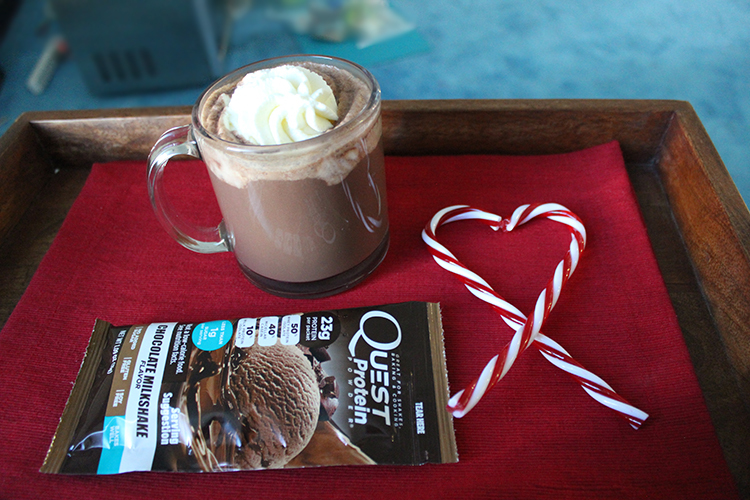 Whisk the almond milk, water, Quest Protein Powder™, sweetener, and cocoa powder in a small saucepan. Heat on low over stove for 5 minutes or until warm, but not boiling. In a small bowl, add heavy whipping cream and sweetener. Mix until stiff peaks. Add whipped cream into piping bag. Pipe evenly among all four cups. Serve immediately. Written by: Clark Pagaduan on December 20, 2016.